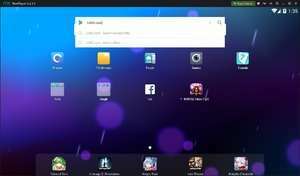 NoxPlayer is a free Android emulator that can run Google Play Store apps on your Windows desktop. Controlling the Android screen is as simple as the way you normally use your mouse on Windows. The application essentially creates a virtual machine on your computer, running Android Kitkat (based on version 4.4. For security reasons, you should also check out the NoxPlayer download at LO4D.com which includes virus and malware tests. Additional screenshots of this application download may be available, too.